We accept extended version of papers previously published in conferences and/or journals. Submitted papers MUST be written in English, not exceeding 10 double-column pages IJSEI format. Extra charges might be made for additional pages and/or formatting paper. Download IJSEI paper template. (Submitted papers need to be in MS Word format with file extension .doc or .docx) You will have to submit your manuscript together with the Copyright Form (Download Copyright Form) to: editor@ijsei.com . - Can I submit an abstract? The journal publishes full research papers. So only full paper submission should be considered for possible publication. Papers with insufficient content may be rejected as well, make sure your paper is sufficient enough to be published. - Should I revise the paper as your journal template before submission? Yes. You’re supposed to format your paper first by following the paper template before submission. If not, extra charges might be made for formating paper. - Does your journal provide English language support? Will the editors help to revise the paper if my English writing is not good enough? Manuscripts that are accepted for publication will be checked by our editors for spelling and formal style. This may not be sufficient if English is not your native language and substantial editing would be required. In that case, you may want to have your manuscript edited by a native speaker prior to submission. A clear and concise language will help editors and reviewers concentrate on the scientific content of your paper and thus smooth the peer review process. - What is the impact factor of your journal? 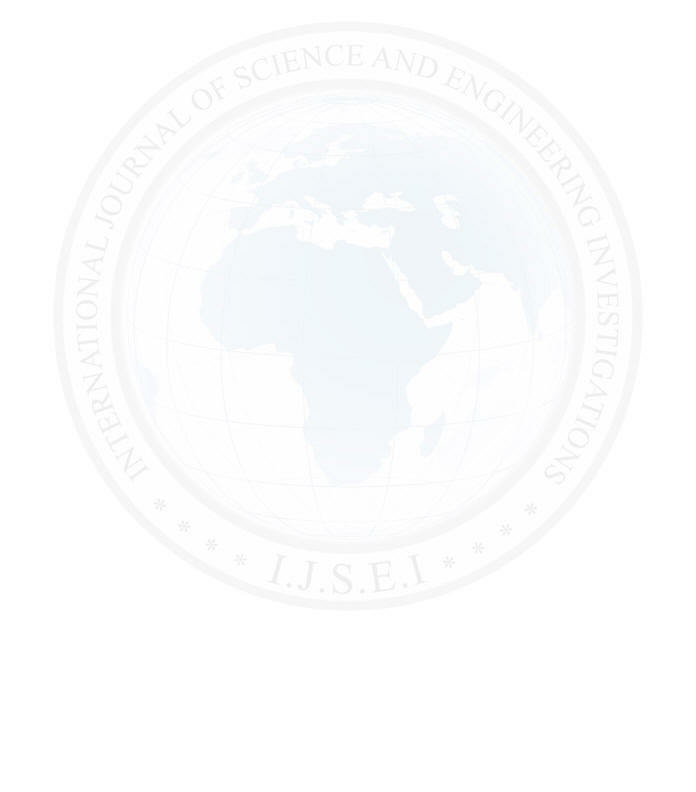 All articles published in "International Journal of Science and Engineering Investigations" (IJSEI) are open access and freely available online, immediately upon publication. This is made possible by an article-processing charge (APC) that covers the range of publishing services we provide. This includes provision of online tools for editors and reviewers, electronic composition, production and hosting, manuscript management system, electronic archiving, liaison with abstracting and indexing services, overhead expenses, administrative costs and customer services. Moreover, we must cover the costs of publishing the accepted article plus the cost of reviewing articles the journal reject. The APC, payable when your manuscript is editorially accepted and before publication, is charged to either you, or your funder, institution or employer. - How much is the Article Processing Charge? Extra charges might be made for additional pages (5 € EURO per page) and/or formatting paper (1 € EURO per page). No taxes are included in this charge. If you are resident in any European Union country you have to add Value-Added Tax (VAT) at the rate applicable in the respective country. Institutions that are not based in the Denmark and are paying your fee on your behalf can have the VAT charge recorded under the EU reverse charge method, this means VAT does not need to be added to the invoice. Such institutions are required to supply us with their VAT registration number. - Who is responsible for making or arranging the payment? As the corresponding author of the manuscript you are responsible for making or arranging the payment (for instance, via your institution) upon editorial acceptance of the manuscript. - When and how do I pay? Upon editorial acceptance of an article, the corresponding author (you) will be notified that payment is due. The payment can be made via bankwire, Paypal, Western Union, or local banks. We advise prompt payment as we are unable to publish accepted articles until payment has been received. Note: If you belong to Cuba, Iran, Syria, Lybia, Turkey, Nigeria, United Arab Emirates and Chile then you can ask for country representative account in your country for online transfer or direct deposit into bank account. Peer review exists to ensure that journals publish good science. This benefits the entire scientific community. Sometimes scientists find the peer review process intimidating because it can lead to the rejection of their manuscript. Keep in mind that revisions and improvement are part of the publication process and actually help raise the quality of your manuscript. Peer review is an integral part of scientific publishing that confirms the validity of the science reported. Peer reviewers are experts who volunteer their time to help improve the journal manuscripts they review-they offer authors free advice. The complete review process is expected to take maximum of 11 working days after submission but can take longer depending on the number of papers currently in review. Authors can expect to hear from the journal's coordinator at least 4 notifications. Step 1: The completed manuscript in a soft copy (.doc or .docx) format along with signed copyright form (image, word format or digitally signed) should be submitted to editor@ijsei.com. Step 2: Papers will be checked for basic requirements: 1- Fitting the journal's aims and scopes. 2- Having minimum acceptable quality. 3- Compliance with the journal's instructions for authors. The manuscript is then submitted to the committee chair to be assigned for review to two reviewers considered to have the expertise in the subject area of the manuscript for a careful dispassionate review. The identity of the authors and their institutional affiliations will be concealed from the reviewers (Blind Peer Review). Step 3: Reviewers will review the paper for technical content, relevance, timeliness, and value to the readership. The manuscript will be adjudged into one of four categories: 1) accepted for publication 2) accepted with minor modifications, 3) accepted with major modifications and 4) not accepted. The results of the review will be communicated to the editor for onward transmission to the authors. 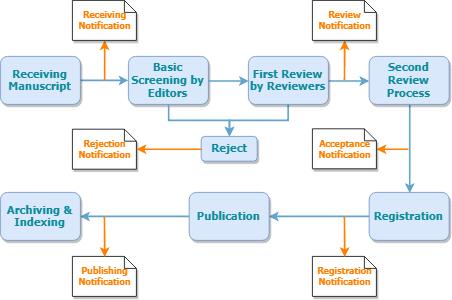 Step 4: If required, authors are to modify the manuscript in light of the reviewers' comments and suggestions and resubmit the manuscript. Step 5: Authors aill be asked to complete their registration (Sending payment proof and registration form). Step 6: Papers will be prepared for publication by publications department according to journal's criteria. Step 7: Papers will be archived in journal dedicated servers and other scientific references according to their subjects.